Quality crafted home backs to greenbelt and playground! Nicely landscaped front and back yard on one of the best lots in the neighborhood. Open concept and great views out the back with wrought iron fencing allowing for views of greenbelt. 3 bed split floor plan ~ Granite Counters ~ Kitchen Pantry ~ Bullnose Corners ~ Crown Molding. 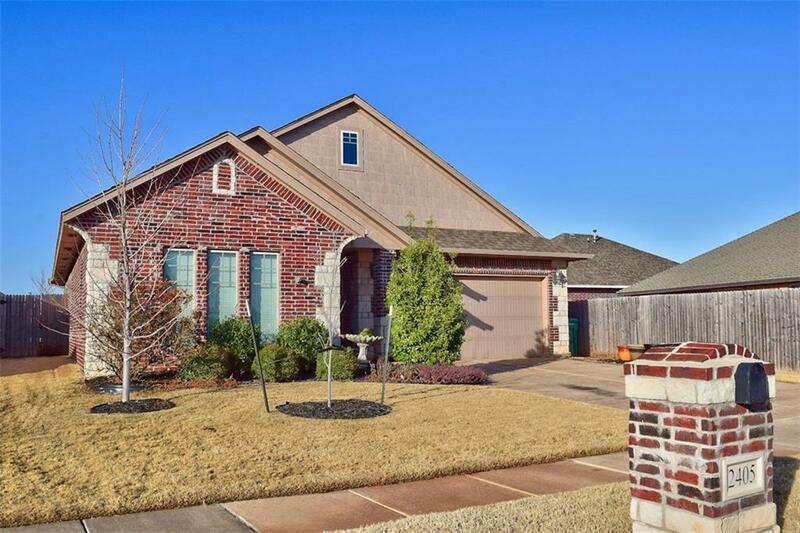 Great west Edmond neighborhood features playground, basketball court, and splash pad. Located close to newer Elementary & Middle Schools and easy access to Turnpike, Dining, & Shopping.